The recent Right to Fair Compensation and Transparency in Land Acquisition, Rehabilitation and Resettlement (LARR) (Gujarat Amendment) Bill, 2016, passed in the state assembly and awaiting the Governor's accent, appears to all set drastically water down the high compensation amount stipulated in the Central LARR Act, passed in 2013 by the former UPA government. A just-released comprehensive paper on LARR (Gujarat Amendment) Bill, 2016, has revealed that, contrary to the Central LARR Act, 2013, stipulating compensation of four times the prevailing market rate for any land acquired, whether for "public purpose" or otherwise, the latest Gujarat amendment bill seeks to give only 50 per cent of the award declared as compensation to certain category of farmers. Pointing out that a new 31A section has been added to section 31 of the 2013 Act, the paper says, the rehabilitation and resettlement (R&R) award for the affected families by the district collector, in cases where the government acquires less than 100 acres of land for its own use, or for projects of a linear nature, would be just about 50 per cent of the compensation amount. The paper says, this suggests that "less than 100 acres of acquisition for its own use would not invite the R&R clause of the principal Act", adding, "Effectively it means that the detailed steps listed in section 31 for R&R for the affected families (including alternate sites and land, mandatory employment, other rights, annuity etc.) get converted into a one-time monetary payment." 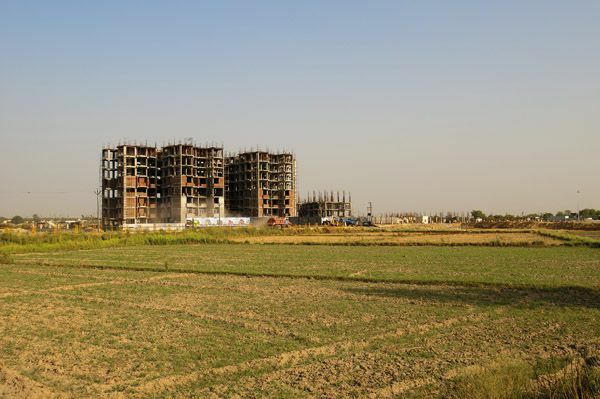 This change, says the paper, is over and above the exemption from the need for consent and conducting social impact assessment (SIA) for acquiring land four category of projects sought to be implemented under the guise of public purpose. 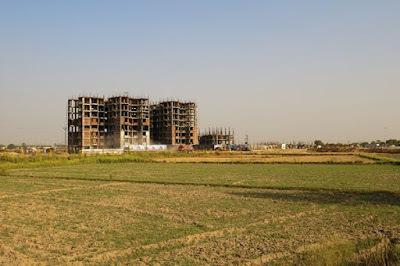 Authors of the paper titled “Gujarat Model for LARR: Right of Land Acquisition”, senior land rights activists Persis Ginwalla and Sagar Rabari, told newspersons in Ahmedabad that not just defence projects but amorphous "defence-related projects" are also exempt from consent and SIA. "Any private party can come up with a defence-related project", they said, adding, "Similarly, there is no definition acquisition for affordable housing or rural infrastructure. Even Rs 50 lakh flats can be categorized as affordable housing." The paper also takes strong exception to expanded the definition of ‘industrial corridors’ for land acquisition without consent and SIA. It says, the new definition includes “industrial corridors set up by the state government and its undertakings", and also land acquired up to one kilometre on both sides of designated railway line or roads for industrial corridor." The activists explained, "In our assessment about 62 per cent of the land mass of Gujarat directly falls under the industrial corridor category. With one kilometre on both sides of railway lines and roads for industrial corridors also included for acquisition, the areas that may be affected might include the Ahmedabad-Bhavnagar highway, the Ahmedabad-Mundra highway or the coastal highway. More than 70 per cent of Gujarat would not required consent or SIA for land acquisition." The paper quotes ‘Statement of Objects and Reasons’ accompanying the Gujarat amendment Bill, to point towards what its real purpose is. The paper says, "The primary justification for the amendments, it appears, is to safeguard 'investment' and 'provide all basic facilities and infrastructure to entrepreneurs'." "Farmers and others dependent on land, who were the drivers of the 2013 Central Act, do not even find a mention in the ‘Statement of Objects and Reasons’", the paper complains, adding, worse, Section 23A has been inserted after Section 23, which "essentially gives the district collector the power to decide on the matter of land acquisition and compensation amount."